Ayurvedic medicine practitioner Sarah Kucera (right) takes notes during a patient consultation. Inside a yoga studio in midtown Kansas City, Ayurvedic medicine practitioner Sarah Kucera does a consultation for a client. In some ways, the consultation isn’t that different from a regular doctor’s checkup. Kucera asks about the patient’s health history, diet and exercise regimen while typing notes on a laptop. But there are differences. The Ayurvedic remedies that Kucera prescribes are mostly plant-based – things like herbs and oils which are thought to be beneficial to various parts of the body. Ayurveda isn’t typically used to treat critical illness or injury. Kucera explains that it focuses more on prevention and wellness. “Ayurveda potentially could be treating the source of the problem whereas within Western medicine, we’re often just treating the problem itself. Or the symptoms rather than the cause,” Kucera says. 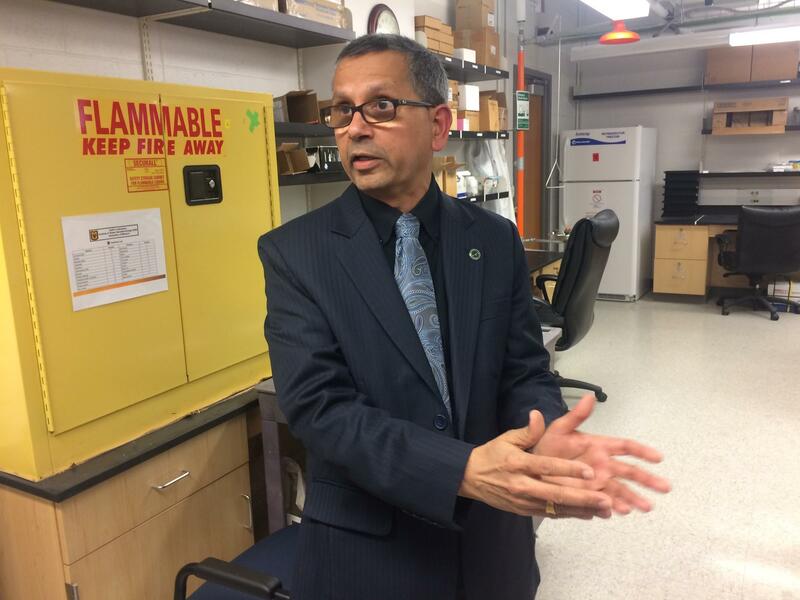 MU Professor Kattesh Katti is developing cancer treatments inspired by traditional Ayurvedic medicine. Kucera’s remedies might be familiar to Kattesh Katti. He’s a University of Missouri professor of radiology and physics who got Ayurvedic treatments as a child. Even though his family used Ayurvedic medicine, they were skeptical when he began his current work. Katti is interested in how Ayurvedic knowledge and materials might be applied to cancer treatment. “Several of them – they very carefully – they commented, ‘Kattesh, are you sure that you want to get into this medical modality?’” Katti says. Ayurvedic medicine has shown promise in treating some conditions like inflammation and rheumatoid arthritis. But evidence and testing on its use for many other illnesses is lacking or fairly limited. Katti isn’t trying to destroy tumors with herbs. Instead, he’s exploring how plant-based materials could enhance existing cancer treatments or make cancer treatments safer for patients. One of Katti’s projects is a liver cancer treatment method involving gum arabic. That’s sap from acacia trees that has a lot of uses in Ayurvedic medicine. 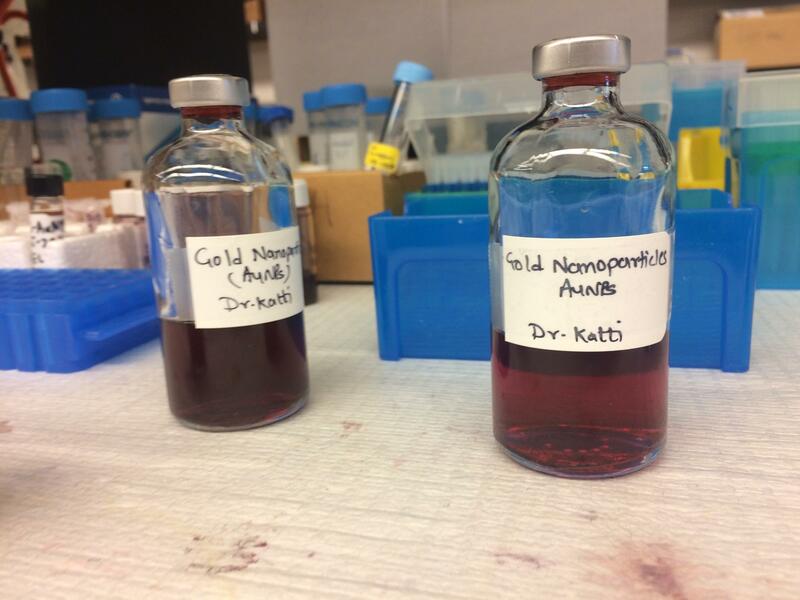 Katti hopes it can be used to enhance a tumor-destroying technique using tiny nanoparticles of gold that’s been in development by other researchers for several years. One of Katti’s projects builds on a cancer treatment method using gold nanoparticles. When inside cancer cells, these gold particles can essentially be zapped with a laser, which generates enough heat to destroy the cells from the inside out. “It may be a slow process. It may be an explosion, depending on how many nanoparticles we may have per cell. The higher number of nanoparticles per cell, the more heat you generate per cell, and maybe some cells would be exploding,” Katti says. Katti theorizes that using gum arabic as a coating for gold nanoparticles may enhance the effectiveness of this cancer treatment method and reduce its toxicity. In doing this work, Katti is bridging a big divide, and not just a cultural one. 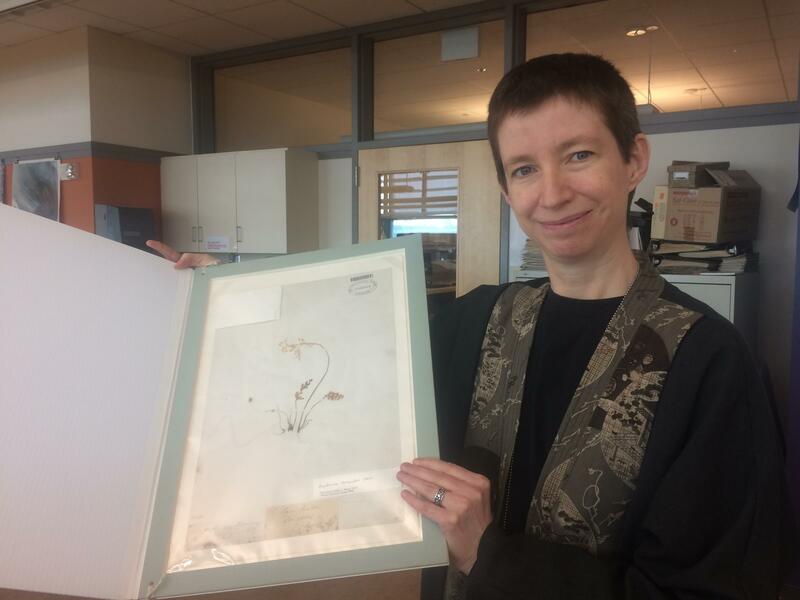 Missouri Botanical Garden associate curator Wendy Applequist displays a prized item of the institution's collection, a plant specimen collected by Charles Darwin. Wendy Applequist, associate curator at the Missouri Botanical Garden in Saint Louis, studies plant-based folk medicines from around the world. She says much of Western medical research has been focused on isolating and studying single compounds. Plant-based medicines, by contrast, can be very complex. Applequist says a split occurred in medicine in the late 19th and early 20th centuries and - especially in the United States – it has only recently begun to mend. “A cultural divide opened up between the medical profession and people who still remembered traditional herbal approaches. And in just the past couple of decades, there’s really been more interest in drawing those together,” Applequist says. Katti’s research is still in the very early stages of testing, but he’s hopeful he can bridge millennia of medicinal knowledge to someday reduce cancer’s grim toll. If you have cancer – and your dog has cancer – it turns out you may be treated with the exact same drugs. 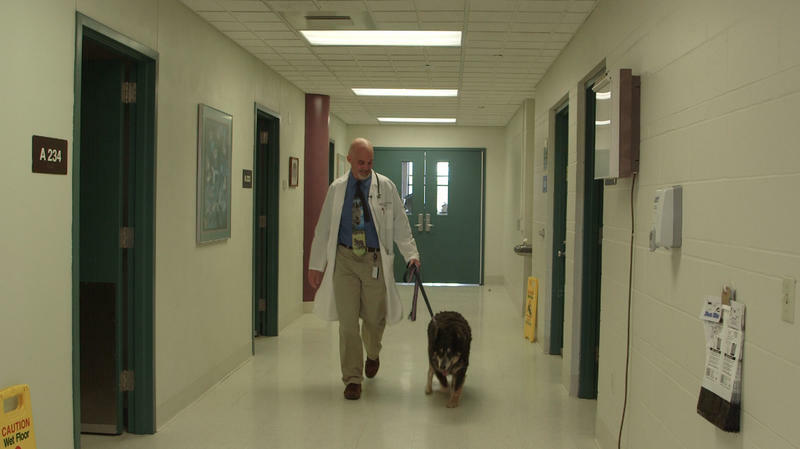 Dr. Carolyn Henry, a veterinary oncologist at the University of Missouri veterinary school, says that, unlike lab mice, dogs get cancer naturally, just like humans. So their cancers are more likely to behave like human cancer when treated. Kansas City artist Nedra Bonds has just endured months of chemotherapy, radiation and a double mastectomy to treat breast cancer. Given all she's been through, the fact that she's opening a retrospective exhibition of her life's work (to date) might carry extra poignancy. "That had not occurred to me," says Bonds, who appears to focus her energies more outward than inward, such as when she responded to her diagnosis last year with a community art project.